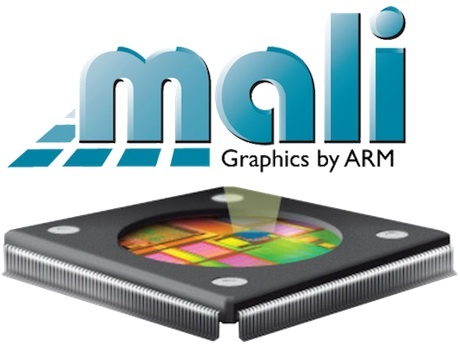 Per default the Mali-T628 GPU inside the ODROID-XU4 will run at maximum speed (600MHz) the whole time. This doesn’t consume that much energy if there is no load on the GPU. But nevertheless you can tune this a little bit if you don’t need the GPU at all. Newer 3.10 ODROID-XU4 kernels should have this activated. I tested this with my own custom build kernel. You can grab it here. Source. To flash this kernel you can use a script like this one. To lock the GPU frequency to the lowest frequency possible (177MHz) do the following. This will automatically lower the voltage as well (see cat /sys/devices/11800000.mali/vol before and after the change). I did some measurements with a power meter and this change reduced the power consumption by 0.7 – 0.8W. At first glance, this doesn’t sound that much, but it’s a reduction of about 20% compared to the idle power consumption of an ODROID-XU4 with ondemand governor, which is just 3-4W! The SOC will be 1-3°C cooler as well 🙂 Perfect for headless servers. Realy realy great. Thank you for this great tip. Will this work with 4.9.x branch? Thanks for posting your patched 4.9 build, I meant has the 4.9.y source pulled in this change and it looks like it hasn’t so I still need to patch this manually for my own builds from the hardkernel repo. The latest OMV distro with (…37) and relevant kernel need no further tuning and contain the latest tweaks already (except the useful enlargement of the system graphs of OMV and Temp measurements). Can you please explain how to upgrade to your kernel which has mali support? Reason why I am asking is because the default kernel for OMV3 doesn’t have mali support. I tried with your script but it doesn’t work: https://gist.github.com/Obihoernchen/28c02a8eeb37f816b4f3e9ea6f150f42 <- I have commented on your gist. Thank you for your work. Much appreciated. I wrote this way back for OMV2. I think it’s not compatible with a new OMV3 installation in it’s current state. The default OMV3 kernel has no mali support? Do you use the newest one from armbian? Could you explain why you switch to your own custom Kernel ? Are there any advantages or did you customized it for a private project ? Back when I wrote this I wanted to have xfs support and kernel updates. Because OMV or debian don’t provide kernel updates for the XU4. The official hardkernel repo was kind of outdated, so I forked the official kernel, updated it, added xfs support, wrote a small script to automate the update process and compiled it with a newer toolchain. Now I can recompile it every time there is a new minor kernel release. Today the hardkernel repo is faster with updates and except xfs support my repo is the same. Hi there, I’m trying to change this but I don’t see the file “vol” in the directory /sys/devices/11800000.mali/. How did you acquire that file? Also, is there a way to show in real time the GPU frequency as well? Then you probably have to update your kernel to include more advanced mali settings. Works fine on omv 2.2.8. Thanks for your guides man ! All others worked fine but this one seems to not working for me.